LOVE COMES TO THE EXECUTIONER. . Wallpaper and background images in the Jeremy Renner club tagged: jeremy renner movie. 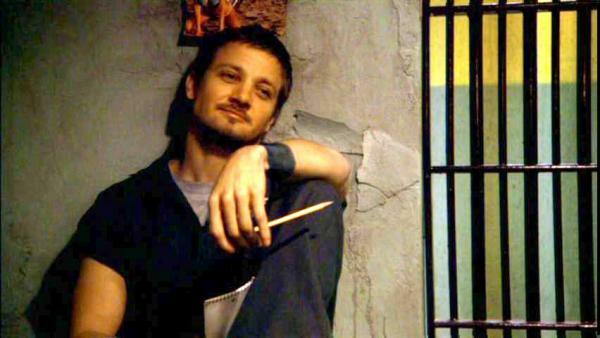 This Jeremy Renner photo contains holding cell, penal institution, penal facility, jail, jailhouse, gaol, clink, slammer, poky, and pokey. There might also be cell, jail cell, prison cell, street, city scene, and urban setting.